Bonita Griesel was born in Knysna on 27 October 1954. She matriculated from Goudrif High School, Primrose, after which she completed her B.A. Fine Arts degree at the University of the Orange Free State. She has had the privilege of studying under Vader Claerhout, when he was residing in Thaba Nchu. Visits to the home of Iris and Stefan Ampenberger greatly influenced her artistic style. Bonita specialised in sculpting under Laura Rautenbach. From 1977 she held a position as part-time lecturer at the Bloemfontein Technical College. 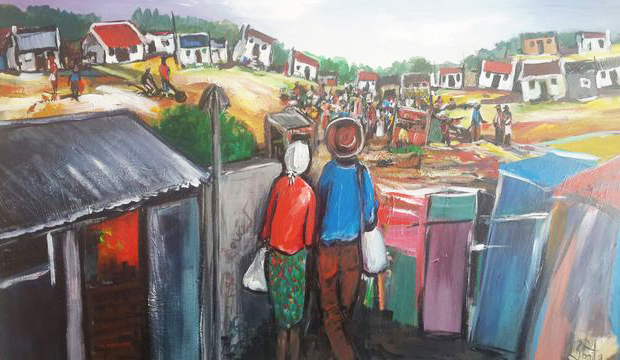 She started teaching private art classes in Bloemfontein, after which she relocated to Pretoria. Throughout her career Bonita showed intense interest in the child’s development and the role that art plays in assisting children with learning difficulties. Her art school named Deo Arté, was in operation for over 20 years, bringing great joy to many children of various ages. She held yearly exhibitions showing the children’s artwork. 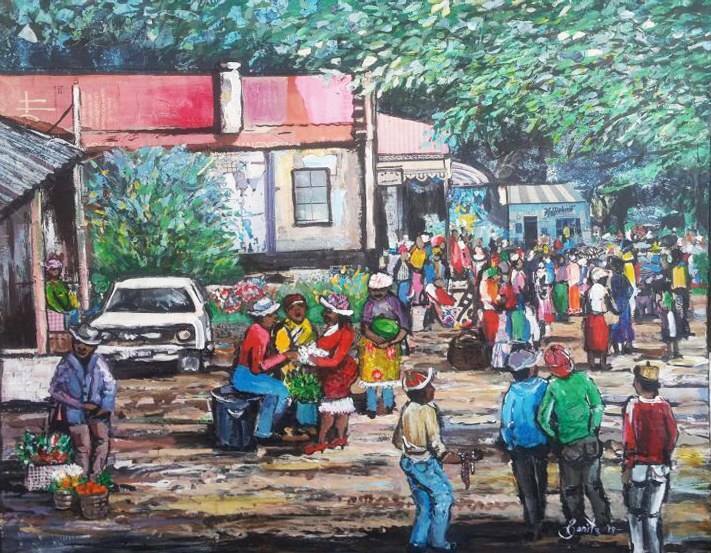 She was a longstanding member of the Centurion Art Association and in 1994 she was awarded Artist of the Year. 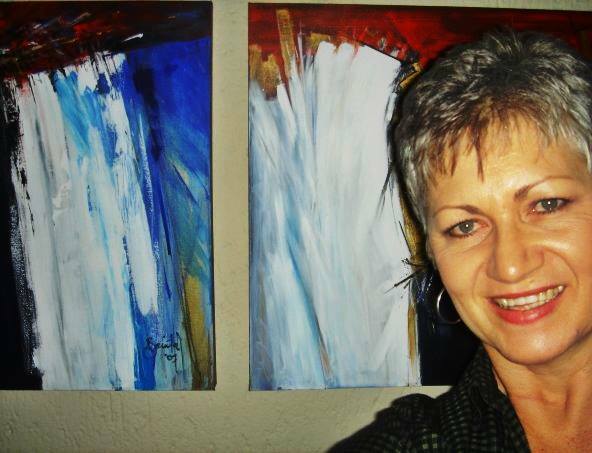 Bonita’s art is expressionistic in nature and represents an emotional state more than the realistic image. Her hands-on involvement in various charity projects has had immense influence on her work through the years. She uses various mediums, mostly acrylics.